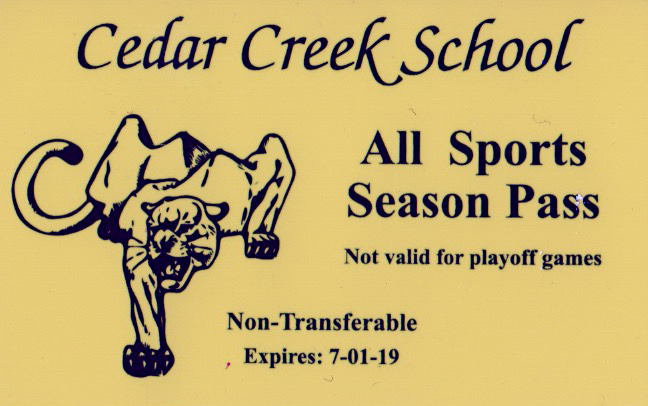 Passes allow Cougar fans to enter in all Cedar Creek sporting events at the school. Cost is $100 for the school year. Exceptions include tournaments and playoff games. They are available from the school's Front Office.